The hit broadway sensation, Frozen, will be coming to London in 2020! FROZEN ANNOUNCES A WEST END TRANSFER! It is true that the hit Broadway musical, Frozen, will be making it's entrance to the west end in 2020. The Royal Drury Lane theatre, former home to Charlie and the Chocolate Factory, has undergone refurbishments and what a better way to reopen the theatre than with Frozen! For those of you who don't know Frozen was a film by Disney in 2013. It was a hit sensation, with the music and story line making children love the many characters in the story. The new musical, which opened in Broadway in 2017, doesn't contain the same music as the hit movie. However, it still entices the audience and captures them into the musical. Frozen on Broadway contains several effects, such as Elsa's changing dress in front of your eyes in Let it Go, but we don't know whether they will make the West End version of the musical. We certainly hope so as it will make the show even more magical! 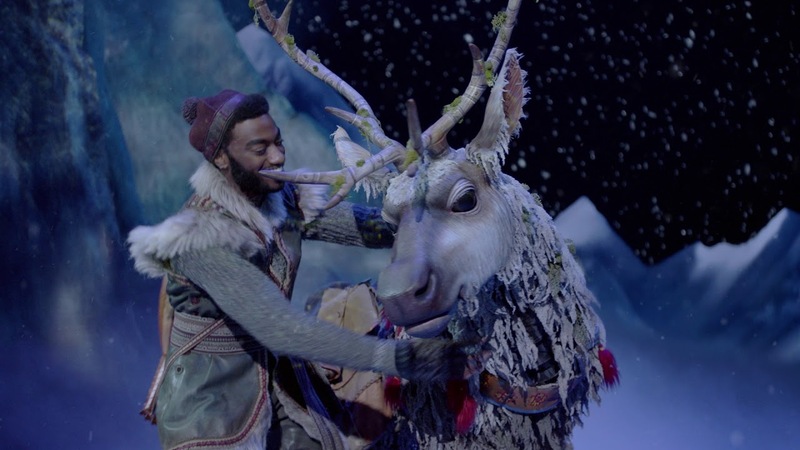 Here's Kristoff and his reindeer Sven from the Broadway musical! Though 2020 seems a while away, it will certainly be worth the wait.